Fox to Punish Us!!! ‘Punisher’ Coming to Series?!?!? Fox has the rights to a new Punisher project, probably better called a revamp. Frankly, the series could probably stand one after the 2004 flop. Let’s hope this works out. The hour-long pilot will delve into the origin story of the Punisher once again, where rising detective Frank Castle moonlights as the morally disinclined vigilante. As usual, he is trying to serve his brand of justice where he sees none has been given. This means killing a lot of people in a lot of nasty ways. Ed Bernero, current Punisher series writer, will executive produce the project along with Marvel. It will be Marvel’s first foray out of ABC, and mark Fox’s return to the comic book adaptation side of entertainment. Also in the works for Fox is The Spectre, based on the DC character. This could be a really good thing for the fans. Fox may not be hugely reliable when it comes to deciding what’s good and what’s not, but after 2004, it would be hard to make Punisher worse. The character also lends itself well to a series instead of two hours, giving us some more insight into the motivation behind a man who gave up on war and yet devoted himself to killing. With any luck at all, this Punisher revamp will not be a punishment like canceling Firefly. We have not yet forgiven you, Fox. This better be good. 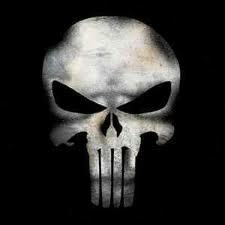 Get all of your PUNISHER COMICS HERE!!!! This entry was posted on Sunday, October 23rd, 2011 at 2:33 pm	and is filed under Comics, News. You can follow any responses to this entry through the RSS 2.0 feed. You can skip to the end and leave a response. Pinging is currently not allowed. « ‘Rocky Horror Picture Show’ Remake: NO. JUST NO!! !